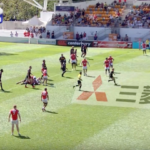 The best five tries from the past weekend’s Super Rugby, according to rugby.com.au. 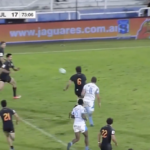 Highlights of the Jaguares’ 54-24 win against the Bulls in Buenos Aires. 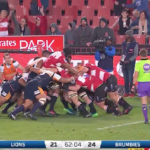 Highlights of the Lions’ 42-24 win against the Brumbies at Ellis Park. 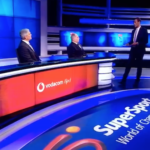 Ashwin Willemse slams Nick Mallett and Naas Botha before walking off the SuperSport set. 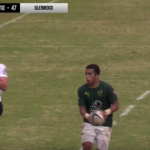 Highlights of the Sharks’ 28-24 win against the Chiefs in Durban. 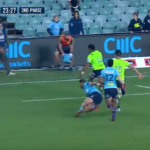 Highlights of the Waratahs’ 41-12 bonus-point win against the Highlanders in Sydney. 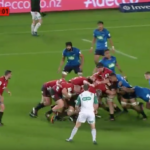 Highlights of the Crusaders’ 32-24 win against the Blues in Auckland. 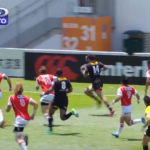 Highlights of the Sunwolves’ 26-23 win against the Stormers in Hong Kong. 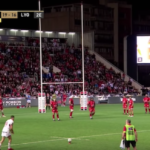 Highlights of the 19-19 extra-time draw between Toulon and Lyon in the first Top 14 semi-final qualifier.